With the recognition of the integral role of student affairs in student education, and with stakeholders requiring increasing accountability at a time of tight resources, it has become imperative that staff be familiar with and competent in undertaking assessment. 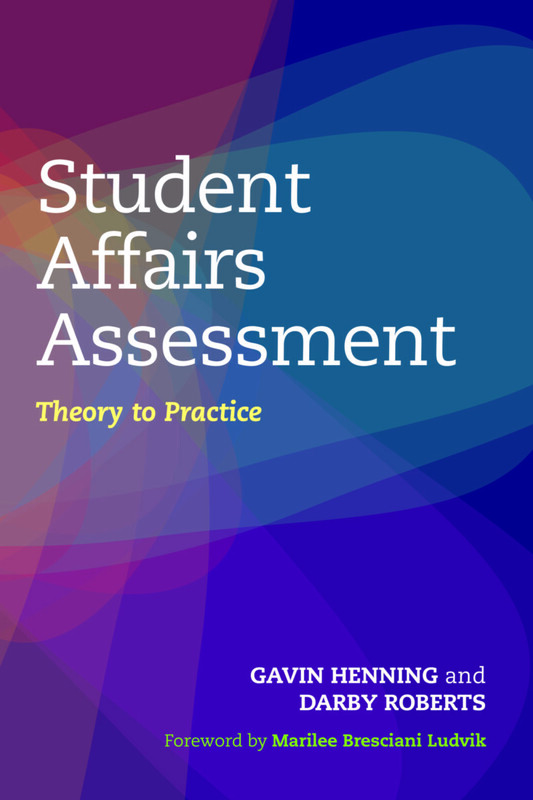 This book provides student affairs staff with the grounding they need to integrate assessment into how they design and monitor the programs, services, and activities they create to contribute to students’ development. This book is intended both as a text for student affairs and higher education master’s programs, and as a practical guide for early career staff who have had little formal preparation in assessment. It can be used for self-study or in professional development workshops. For divisions, departments, or units getting started with assessment, the discussion questions at the end of the chapters can engage staff in the process of developing an effective assessment culture. •	Illustrated throughout by examples of practice in student affairs. "Rigor in implementing assessment is emphasized throughout this volume. Rigor also characterizes the book’s contents, which are particularly thorough in explaining why and how to do assessment and how to use results to improve programs and services. The authors make unique contributions in chapters on epistemology, politics, closing the loop, and ethics." "Henning and Roberts bring their superb scholar-practitioner orientations to this informed, accessible, and comprehensive approach to assessment. Their experience shines with practical examples embedded in solid research methodologies. Built from now-classic documents in student affairs, both graduate students and those coming into student affairs work new to assessment will find this book foundation to their professional practice." 19. The Future: Where Are We Headed? Gavin W. Henning is a college student educator with a reputation as a coordinator, collaborator, and catalyst for educational change. He has more than 20 years of higher education experience that includes faculty, student affairs assessment, institutional research, and residence life. As associate professor and program director at New England College in New Hampshire, Henning coordinates the master’s of higher education administration and doctorate of education programs. He has served as president of ACPA—College Student Educators International as well as on the board of directors and executive committee of the Council for the Advancement of Standards in Higher Education (CAS). Henning holds a doctor of philosophy degree in education leadership and policy studies and a master of arts degree in sociology, both from the University of New Hampshire, as well as a master of arts degree in college and university administration and a bachelor of science degree in psychology and sociology from Michigan State University. Darby Roberts is director of Student Life Studies in the Division of Student Affairs at Texas A&M University, and a faculty member in the Student Affairs Administration and Higher Education master’s program. She is a past co-chair for the NASPA Assessment, Evaluation, and Research Knowledge Community, co-editor of Learning is Not a Sprint: Assessing and Documenting Student Leader Learning in Co-curricular Involvement, and a founding member of SAAL. Darby focuses on student learning in the co-curricular to move the profession, institutions, divisions, and departments forward in documenting the learning that occurs outside the classroom.